Very nice and clean. Will stay here again. Room was nice and clean. I am usually a marriott person, there just wasn't one close. Very friendly staff and the hotel was also very clean. Loved the free breakfast they had so many options. Overall I would definitely stay there again. C u in 4 months . We have always been treated quite well in the past and see no reason 2 stop staying. So you're considering a trip to Hanceville? If you want a place to call home that's located close to Hanceville attractions, use Orbitz to pick your travel dates, and then presto! Look through the list of hotels and other accommodations to find those that are close to what you want to see while you're visiting. 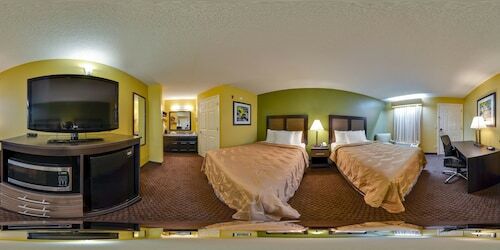 You might not find the ideal accommodation in the heart of Hanceville, but you can choose from 38 accommodations nearby. Search by filters such as price, neighborhood, guest rating, or popular locations, depending on what's most important to you. We make it easy to find a convenient flight into Birmingham, AL (BHM-Birmingham Intl. ), which is 34.5 mi (55.5 km) from the heart of the city. Find the ideal flight in nothing flat by using the filters on our site to narrow down your search. 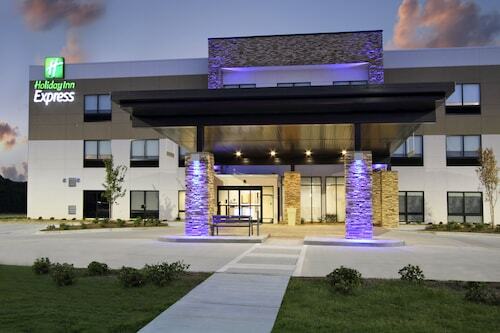 There might be just a few hotels and accommodations to choose from in Hanceville, but here some other options located nearby so you have some choices. What's the Weather Like in Hanceville?